A new study revealed that the space radiation to which that astronauts are exposed during prolonged missions has a lesser impact on their muscle but bones are still affected. Researchers found that the mix of radiation and microgravity can lead to significant bone loss in space travelers. Past studies have suggested that radiation could be behind both muscle and bone loss in microgravity. However, the latest research has just proven that the theory may not be entirely accurate. A group of scientists at the VCU School of Engineering were able to simulate space conditions and found that radiation does not lead to muscle loss, but it can spur bone loss in the long run. Lead author Henry J Donahue, PhD explained that bones need to be stimulated to build more density. In microgravity, there’s little to no stimulation, so there’s no need to get stronger bones. In other words, in space, the body won’t deploy resources to build bones. The research team analyzed mice’s bone and muscle health in microgravity conditions. The animals’ movements were restricted. Another group of mice were exposed to space radiation. Astronauts living aboard the International Space Station may experience bone and muscle loss due to the combined effects of microgravity and radiation, scientists report. The findings have important implications for how NASA engineers plan on mitigating the effects of radiation for upcoming deep-space missions such as a manned trip to Mars. Like muscles, bone is a dynamic tissue which adapts to demand. If there’s frequently increased load, bones will grow bigger to meet this demand. In a weightless environment, however, muscles will atrophy and bones will lose density. What’s more, radiation also seems to play a role in bone density loss but not in muscle atrophy, a recent study funded by NASA informs. Researchers led by Henry Donahue from Virginia Commonwealth University studied mice whose movements were restricted, thereby simulating microgravity. Another group of mice were left to roam freely while being exposed to radiation of the kind experienced in space. While the microgravity conditions led to both muscle and bone loss, radiation alone could only produce bone loss. New research suggests that space radiation may cause bone loss in astronauts. While it’s important to have astronauts in space for both research and exploration, it turns out that there may be a number of negative side effects from living in space for an extended period of time. New research, published in PLOS ONE and reported on by ZME Science, suggests that astronauts living on the International Space Station may experience both bone and muscle loss due to microgravity and space radiation. This new knowledge has important implications, as it may change how NASA engineers approach the issues surrounding extended trips in outer space. Upcoming deep-space missions such as a manned trip to Mars will rely on finding solutions to problems such as the fact that this space radiation may increase bone loss. Researchers from Virginia Commonwealth University, led by Henry Donahue, studied mice who were restricted in a simulation of microgravity. Another group of mice was allowed to roam freely while exposed to radiation similar to that encountered in space. In a recent statement, Donahue revealed the results of the experiment. According to a new study published by researchers from the National Aeronautics and Space Administration (NASA), astronauts may undergo loss of bones and muscles due to space radiation. The researchers found it while study the combined impact of space radiation and microgravity on bone and muscles. Researchers conducted a study on mice by restricting their movements to create a similar experience to microgravity. Then those mice were put into to simulated space radiation. They found that microgravity alone caused loss in bone and muscle. However, radiation alone was not able to cause bone and muscles loss. They discovered the intensity of loss increased when space radiation was combined with microgravity. On the other hand, the astronauts suffer a loss of muscles and bones from legs, hips, and lower back in a reduced gravity of space. NEW DELHI : Being in space is no cake walk; it looks tempting but it has its own set of side effects on the human body. As per latest findings, it has been learned that the astronauts living in space have more chances of losing bone due to continuous interaction with the radiations. A study has found that pace radiation may cause astronauts in outer space to lose additional bone, but not more muscle. The study mentions about NASA astronaut Scott Kelly, who spent a record-setting year in space, claiming that he gained a few inches in height on his return. The results are shocking for NASA as they have future plans to go beyond limits inside the outer space. And to make it safer for astronauts it is important to learn human body behaviour in the space. In the first study of its kind, researchers investigated the combined impact of space radiation and microgravity on bone and muscle, hypothesising that radiation would exacerbate bone and muscle loss caused by microgravity. "Radiation plus microgravity amplifies the negative effect of microgravity on bone, but does not affect muscle loss," said Henry J Donahue, Virginia Commonwealth University in the US. "It's as if exposure to radiation itself doesn't affect bone, but it makes it more sensitive to the negative effects of microgravity," said Donahue. New Delhi: With NASA planning and preparing for deep space exploration missions, it is important for scientists to understand thoroughly how deep space will affect the human body. To aid them in acquiring knowledge about the same, astronauts who spend time in zero gravity aboard the International Space Station (ISS) are subjected to tests upon their arrival on Earth for any changes that they might have gone through. A study has now found that pace radiation may cause astronauts in outer space to lose additional bone, but not more muscle. The findings raise intriguing questions about the relationship between bone and muscle, especially for humans on Earth dealing with age-related bone and muscle loss. NASA astronaut Scott Kelly, who spent a record-setting year in space, gained a few inches in height on his return, scientists had found in their Twin Study. As NASA prepares for deep space travel, astronauts will also face increased, prolonged exposure to space radiation. Researchers examined mice whose movements were restricted - an experience similar to microgravity - and those exposed to simulated space radiation. What they found was that while microgravity alone led to both bone and muscle loss, radiation alone did not. A recent study has found that space radiation may cause astronauts in outer space to lose new bone, but not more muscle. The conclusions raise interesting questions about the relationship between bone and muscle, particularly for people on Earth dealing with age-related bone and muscle damage. As NASA plans for deep space travel, astronauts will also face increased, continued exposure to space radiation. In the original study of its kind, researchers examined the combined effect of space radiation and microgravity on bone and muscle, hypothesising that radiation would worsen bone and muscle loss induced by microgravity. Experts studied mice whose movements were restrained, an encounter similar to microgravity and those shown to simulated space radiation. What they discovered was that while microgravity alone managed to both bone and muscle loss, radiation alone did not. “Radiation plus microgravity amplify the negative impact of microgravity on the bone, but does not affect muscle loss,” stated Henry J Donahue, Virginia Commonwealth University in the US. Exposure to radiation during deep-space missions might not cause as much damage to astronauts’ muscles as once thought – but, it could enhance the effect of microgravity on their bones. While scientists have suspected that radiation may exacerbate both muscle and bone loss in microgravity conditions, a new study found that this may not be the case. Using a simulated space environment, researchers discovered that radiation alone does not have an effect on muscle loss; it does, however, amplify the negative effects on the bones. 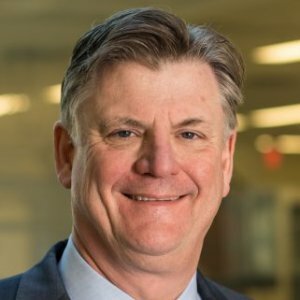 ‘Bone is a very dynamic tissue,’ said Henry J Donahue, PhD, chair of the Department of Biomedical Engineering and School of Engineering Foundation Professor at the VCU School of Engineering. With fewer demands, on the other hand, as in microgravity, ‘your body won’t waste time building bone,' the researcher says. 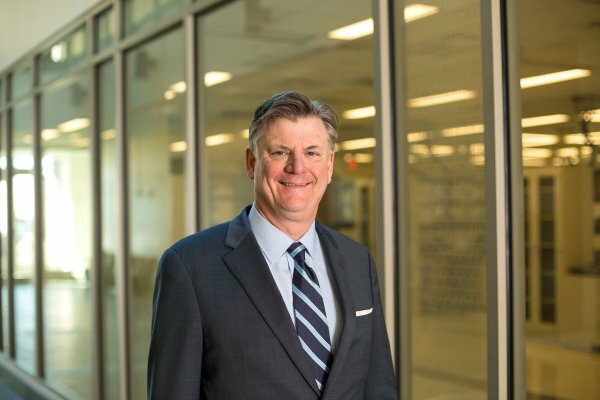 New research by Henry J. Donahue, Ph.D., chair of the Department of Biomedical Engineering and School of Engineering Foundation Professor at the VCU School of Engineering, suggests that space radiation may cause astronauts in outer space to lose additional bone but not more muscle. While in the reduced gravity of space, astronauts lose bone and muscle from their legs, hips and lower backs. "Bone is a very dynamic tissue," said Donahue, who is principal investigator of a project funded by NASA and the National Space Biomedical Research Institute. "As more demands are put on it, it gets bigger to meet those demands." On the other hand, with fewer demands in microgravity, "your body won't waste time building bone." As NASA prepares for deep space travel, astronauts will also face increased, prolonged exposure to space radiation. Donahue said that measures to protect against radiation, such as the "big lead vests that they put on you at the doctor's office," would not be practical on missions to Mars. 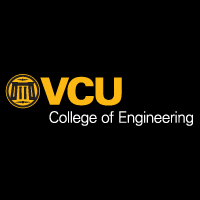 New research by Henry J. Donahue, Ph.D., chair of the Department of Biomedical Engineering and School of Engineering Foundation Professor at the Virginia Commonwealth University (VCU) School of Engineering, suggests that space radiation may cause astronauts in outer space to lose additional bone, but not more muscle. As NASA prepares for deep space travel, astronauts will also face increased, prolonged exposure to space radiation. Dr. Donahue said that measures to protect against radiation, such as the “big lead vests that they put on you at the doctor’s office,” would not be practical on missions to Mars. The study, “Simulated space radiation sensitizes bone but not muscle to the catabolic effects of mechanical unloading,” appears in a recent issue of PLOS ONE. Its findings suggest that astronauts on extended space travel missions would have significant bone and muscle complications. Researchers want to discover how to maintain bone and muscle health during spaceflight and learn what preventive exercises could help. The time-course of cancellous bone regeneration surrounding mechanically loaded implants affects implant fixation, and is relevant to determining optimal rehabilitation protocols following orthopaedic surgeries. We investigated the influence of controlled mechanical loading of titanium-coated polyether-ether ketone (PEEK) implants on osseointegration using time-lapsed, non-invasive, in vivo micro-computed tomography (micro-CT) scans. Implants were inserted into proximal tibial metaphyses of both limbs of eight female Sprague-Dawley rats. External cyclic loading (60 or 100 μm displacement, 1 Hz, 60 s) was applied every other day for 14 days to one implant in each rat, while implants in contralateral limbs served as the unloaded controls. Hind limbs were imaged with high-resolution micro-CT (12.5 μm voxel size) at 2, 5, 9, and 12 days post-surgery. Trabecular changes over time were detected by 3D image registration allowing for measurements of bone-formation rate (BFR) and bone-resorption rate (BRR). At day 9, mean %BV/TV for loaded and unloaded limbs were 35.5 ± 10.0% and 37.2 ± 10.0%, respectively, and demonstrated significant increases in bone volume compared to day 2. BRR increased significantly after day 9. No significant differences between bone volumes, BFR, and BRR were detected due to implant loading. Although not reaching significance (p = 0.16), an average 119% increase in pull-out strength was measured in the loaded implants. Extracellular mechanophysical signals from both static substrate cue and dynamic mechanical loading have strong potential to regulate cell functions. Most of the studies have adopted either static or dynamic cue and shown that each cue can regulate cell adhesion, spreading, migration, proliferation, lineage commitment, and differentiation. However, there is limited information on the integrative control of cell functions by the static and dynamic mechanophysical signals. For example, a majority of dynamic loading studies have tested mechanical stimulation of cells utilizing cultures on flat surfaces without any surface modification. While these approaches have provided significant information on cell mechanotransduction, obtained outcomes may not correctly recapitulate complex cellular mechanosensing milieus in vivo. Several pioneering studies documented cellular response to mechanical stimulations upon cultures with biomimetic substrate modifications. In this min-review, we will highlight key findings on the integrative role of substrate cue (topographic, geometric, etc.) and mechanical stimulation (stretch, fluid shear) in modulating cell function and fate. The integrative approaches, though not fully established yet, will help properly understand cell mechanotransduction under biomimetic mechanophysical environments. This may further lead to advanced functional tissue engineering and regenerative medicine protocols.